You might not know what mucilage is just by the name, but chances are, you’ve seen it in action! 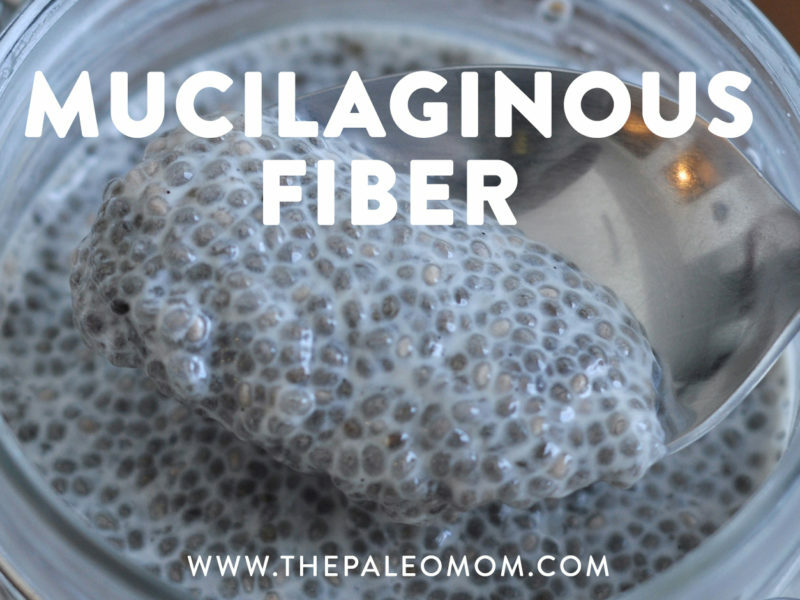 Chia seeds, flaxseeds, and agar agar all contain a type of vicious, soluble fiber called mucilage that swells up and becomes gelatinous and gooey when it makes contact with water. Many Paleo recipes call for high-mucilage foods to create certain jelly-like textures (think chia seed pudding, for example!). And, the unique properties of this fiber have resulted in mucilaginous foods being touted for their health benefits, especially when it comes to healing gut conditions. It’s true that fiber does some amazing things for or bodies (you can read more about that in my multi-part Fiber Manifesto here, here, here, here, and here! ), and mucilaginous fiber is no exception. But, there are some situations where mucilage may actually aggravate certain health problems and be worth avoiding (at least temporarily!). Understanding the wide spectrum of health effects from this fiber can help us decide how much of it to incorporate into our diets! 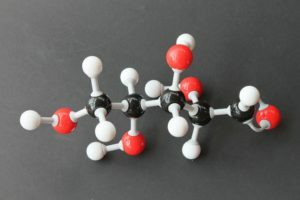 On a molecular level, mucilage is rich in simple sugars such as xylose, arabinose, rhamnose, galactose, glucose, and sometimes mannose and fucose. (Different sources of mucilage—like leaves vs. roots vs. seeds—have different simple sugar compositions, but typically, these are the sugars that dominate!) For plants, mucilage comes in pretty handy. It can help barricade injuries from pathogens by forming a gelatinous layer on the wound site, helps plants develop a relationship with soil-dwelling life forms like fungus, serves as a barometer to check water loss, aids in germination, and helps facilitate seed dispersal. Mucilage has been long been praised for its role in human health, and rightfully so! Tons of research points to beneficial and therapeutic activity for this unique fiber. Mucilage from cactus pads, for example, has been shown to act as a prebiotic, enhancing the growth of lactobacilli, increasing short-chain fatty acid production, and reducing the population of harmful species of enterococci, enterobacteria, staphylococci, and clostridia. Mucilage-rich psyllium is often used to stimulate normal bowel function and absorb excess water (making it useful for both constipation and mild diarrhea). Some mucilage-rich herbs can suppress the blood sugar response to a glucose meal, due to a delay in glucose absorption from the intestinal membrane. And, the addition of mucilage to a calorie-reduced diet has been shown to cause greater weight loss and greater reductions in triglyceride and total cholesterol levels than diet alone (possibly due to reduced intestinal absorption of bile acids). Although the immune-stimulating effects of mucilage may be beneficial in some contexts, in other cases, this can actually be detrimental! For instance, some types of mucilage specifically stimulate either the Th1 immune response (like flaxseed) or the Th2 immune response (like the mucilage in natto, or fermented soybeans). 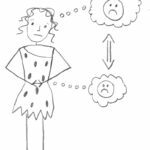 If someone has an autoimmune disease and is already Th1 or Th2 dominant (see The Paleo Approach), stimulating the wrong pathway can aggravate the Th1/Th2 imbalance instead of helping to correct it, resulting in a worsening of autoimmune symptoms. Plus, regulating the immune system is far more complex than simply stimulating the more suppressed pathway, as used to be standard in Th1/Th2 balancing protocols, now thoroughly debunked. 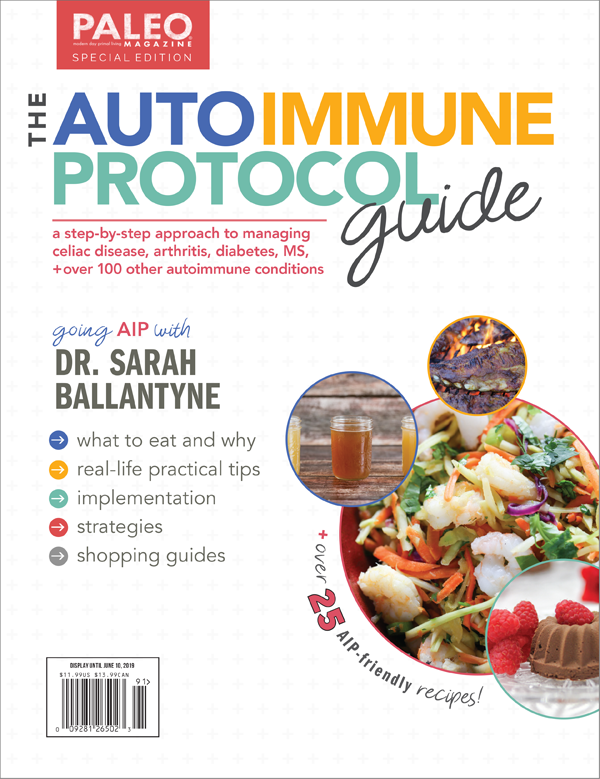 If you have an immune system that is not regulating itself well, as is the case in all autoimmune diseases but also any chronic illness since inflammation is a consequence of an immune system that isn’t modulating itself properly, then stimulating inflammatory immune pathways is not likely to do you any favors. 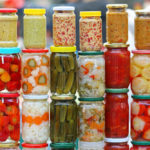 When it comes to mucilage, individual responses are likely to vary greatly since the composition of your gut microbiome, exactly how your immune system is dysregulated, nutrient status, stress level, sleep debt, and exactly how much you eat of which mucilage are all inputs into the equation. Clostridium difficile, which can eat the galactose, mannose, and glucose liberated from mucilage. When imbalanced, it can cause Clostridium difficile colitis, a severe infection that can range from diarrhea to potentially deadly colon inflammation (and even a hole forming in the intestines!). Escherichia coli (E. coli), which can eat the glucose, arabinose, and xylose liberated from mucilage. 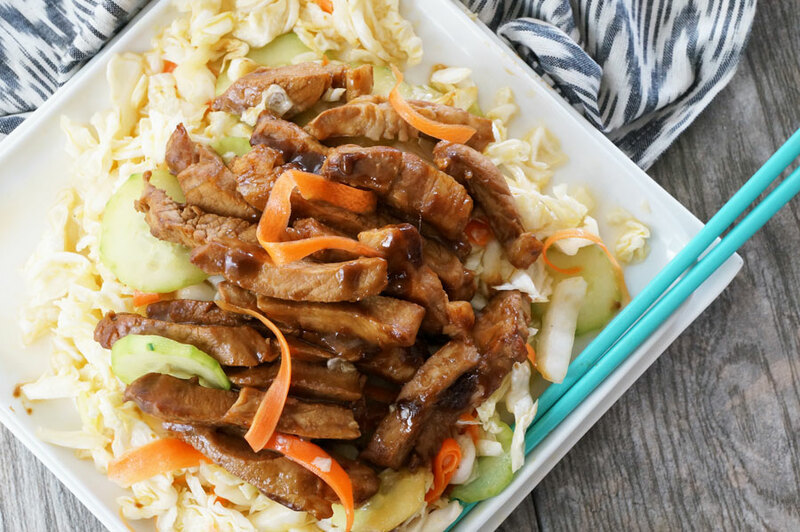 Certain strains of coli are famous for causing foodborne illness due to producing a toxin called Shiga toxin, which can lead to vomiting, fever, severe stomach cramps, and bloody diarrhea. About 5-10% of people with this type of E. coli infection develop hemolytic uremic syndrome (HUS), which can potentially be life-threatening. Staphylococcus aureus, which can eat the galactose liberated from mucilage. This is a major opportunistic pathogen that produces a variety of toxins (both enterotoxins and cytotoxins) and can cause nausea, vomiting, diarrhea, cramps, fever, and loss of appetite. And, it can alter the overall structure of the gut microbiome and reduce the production of beneficial short-chain fatty acids (SCFAs). 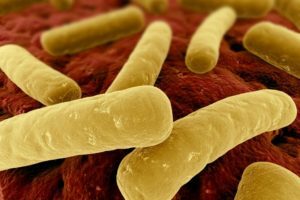 Basically, what this means is that for certain forms of gut dysbiosis, mucilage might actually feed the wrong bacteria and consequently worsen gut health instead of improving it. For example, someone with an overgrowth of C. difficile (and an under-abundance of beneficial resident bacteria to compete with it!) might find that mucilage encourages the C. difficile to flourish and cause infection. This could especially be an issue after a hospital visit or long-term antibiotic treatment that kills of intestinal bacteria that usually keep C. difficile in check. There’s no evidence that eating a diet rich in mucilages can cause gut dysbiosis if you’re starting out with a healthy diverse gut microbiome. But, this may explain why so many people report worsening of gastrointestinal symptoms or symptoms of autoimmune disease when they eat foods like psyllium and chia. So… Is it Yay or Nay for Mucilage? Given the wide range of positive health effects from mucilaginous foods, mucilage isn’t a definite no-no for a healthy, nutrient-dense diet! But, it’s worth noting that despite the glowing endorsements for this fiber, we may need to reduce or eliminate high-mucilage foods while we build an optimal gut microbiome or address a dysfunctional and overstimulated immune system. 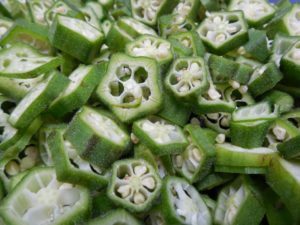 In most cases, these situations will be temporary, and we can eventually enjoy okra gumbo or cassava fries without worry! Anderson E & Fireman M. “The mucilage from psyllium seed, plantago psyllium, L.” J. Biol. Chem. 1935;109:437-442. Anderson E. & Lowe HJ. 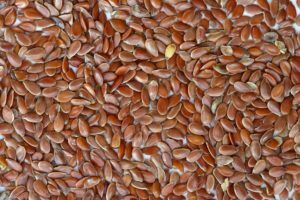 “The composition of flaxseed mucilage.” J. Biol. Chem. 1947;168:289-297. Bacic A, et al. “Structural Analysis of Secreted Root Slime from Maize (Zea mays L.).” Plant Physiol. 1986 Mar;80(3):771-7. Clifford SC, et al. “Mucilages and polysaccharides in Ziziphus species (Rhamnaceae): localization, composition and physiological roles during drought-stress.” J Exp Bot. 2002 Jan;53(366):131-8. Dumitriu S. “Polymeric Biomaterials, Revised and Expanded.” 2nd ed. 2001: CRC Press. Page 485. “E. coli (Escherichia coli).” Centers for Disease Control and Prevention. Accessed January 24, 2016. Enzi G, et al. “Effect of a hydrophilic mucilage in the treatment of obese patients.” Pharmatherapeutica. 1980;2(7):421-8. Frati Munari AC, et al. “Lowering glycemic index of food by acarbose and Plantago psyllium mucilage.” Arch Med Res. 1998 Summer;29(2):137-41. Garrity G, et al., eds. “Bergey’s Manual of Systematic Bacteriology: Volume 2: The Proteobacteria.” 2nd ed. 2005: Springer. Guevara-Arauza JC, et al. 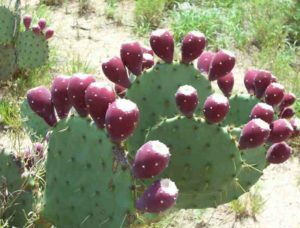 “Prebiotic effect of mucilage and pectic-derived oligosaccharides from nopal (Opuntia ficus-indica).” Food Science and Biotechnology. 2012 Aug;21(4):997-1003. Innami S, et al. “Jew’s mellow leaves (Corchorus olitorius) suppress elevation of postprandial blood glucose levels in rats and humans.” Int J Vitam Nutr Res. 2005 Jan;75(1):39-46. Jang CM, et al. “Effect of mucilage from yam on activation of lymphocytic immune cells.” Nutrition Research and Practice. 2007;1(2):94-99. Köpke M, et al. “Clostridium difficile is an autotrophic bacterial pathogen.” PLoS One. 2013 Apr 23;8(4):e62157. Sannasiddappa TH, et al. “The influence of Staphylococcus aureus on gut microbial ecology in an in vitro continuous culture human colonic model system.” PLoS One. 2011;6(8):e23227. Xu Q, et al. “Levan (beta-2, 6-fructan), a major fraction of fermented soybean mucilage, displays immunostimulating properties via Toll-like receptor 4 signalling: induction of interleukin-12 production and suppression of T-helper type 2 response and immunoglobulin E production.” Clin Exp Allergy. 2006 Jan;36(1):94-101. 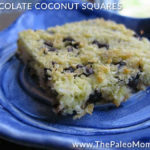 Thanks Paleo Mom, perfect timing on this post! I just discovered last week that the chia seeds I’d been adding to the smoothies I have a couple of mornings a week were causing recent digestive upset. I have also noticed I need to watch my intake of cassava flour and keep it on a occasional basis, which makes sense since you list it as a mucilage-producing food. So it’s good to get the facts behind the story! Oh no, not plantains! They are my new favorite AIP food. My first flare up came while I had be consuming chia seed and broccoli micro greens on a regular basis. There goes plantain mangu and chocoa plantain pudding! What about glucomannan fiber? I use it to make chocolate pudding. Oops, typo in the first paragraph! It should read viscous, not vicious! 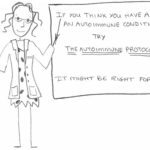 So what can those of us with autoimmune diseases use/consume to heal our guts? My naturopath recommended chia seeds, slippery elm, and marshmallow root but those are all out because of the mucilage. DGL is ok for AIP you say, right? Anything else we can take for gut healing? 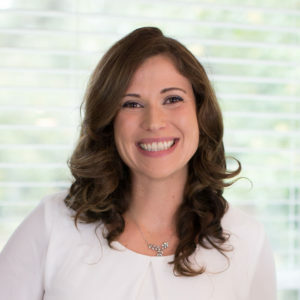 I’ve been eating strict AIP plus low-fodmap for months and have been able to eliminate SIBO with herbal antimicrobials under my naturopath’s care, but I still have daily IBS symptoms and symptoms of leaky gut. Chicken bone broth is out on the low-fodmap diet because of the cartilage, so I drink/use beef bone broth. I’m following the AIP lifestyle modifications too. What else can we do? This is a great question & I would like to know the answer myself. I just got dx with diverticulitis & eat all these foods on a regular basis. No wonder I am not healing! Please advise! Hello; Great article!! I have no thyroid due to cancer and have been struggling to get my levels corrected with NDT due to low stomach acid and nutrient deficiency. 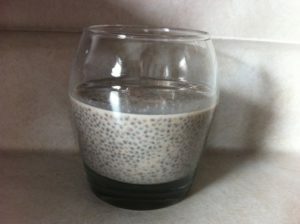 Would you say NO to the chia seeds for me, even though i have no noticeable side effects from them? What would be a alternative to these fiber to add bulk to the stool? Being worse constipation since 3 months starting AIP… Take Magnesium (Oxy Powder, not on a regular basis), but would like to find the alternative in the food. Now I’m wondering if these foods would aggravate my SIBO. I haven’t noticed any adverse reaction to ground flax seeds or chia seeds but I do know that I can’t tolerate plantains. I just bought your book The Best of AIP. So what am I supposed to eat for breakfast?!!! This is very discouraging. I am trying to get a handle on this new elimination diet for Hashimoto’s which I don’t even know if I have yet (awaiting testing) but this is most challenging. And I’m a good cook who is open to new horizons…but this breakfast thing has really got me. Do YOU eat porkchops for breakfast? Please give me some suggestions. I feel like I’m drowning. 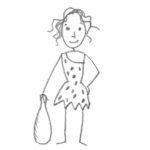 I need to eat something substantial to get me through my morning eaten at home….I don’t have the leeway to stop and prepare something on the road…I am a traveling resource teacher who already carries tons of supplies. I sure don’t need to add more (food) stuff into my daily routine. But it appears that I will have too. Thanks for your time. Don’t feel discouraged! It’s tough in the beginning but you will get the hang of it! It is tough for some people to get past having normal food for breakfast but I find it easiest if I just have leftovers from the night before and a piece of fruit. If you can get past the feeling of ” but it isn’t a breakfast food” then you have a lot more options. Even if you need a quick breakfast, you could always sautée some broccoli or cook some carrots! Eating this way also keeps you full longer because you are filling up with nutrient and protein dense foods. I hope you are doing better (I know this post is sort of old but I though I might as well try to help!) and I hope you are encouraged! Fascinating and very helpful article. Have you found any articles that support theovergrowth of Candida albicans from consuming these fibres ? Thank you for this insightful article! I ate sauteed cactus two evenings in a row and I feel horrible – when I had been feeling pretty great. Will avoid for now! I think you meant viscous, not vicious. Is it possible to use a few less exclamation points? I was wondering if you have had experiences with making the Mexican style Agua Frescas, using juice of your favorite fruit and a 1/2 cup (or less) of sugar and some water? They are delicious and refreshing and I love them. However I recently made Cucumber Agua Fresca and put in the fridge. After about 4 days it to mucilaginous. I didn’t know whether I inadvertantly made a scoby of cucumber water by adding sugar or not, but I am afraid to drink without advice. Should I drink my strange ‘Kombucha like’ concoction? I have psoriasis and love getting the benefits from the cukes for my skin. This really confuses me. 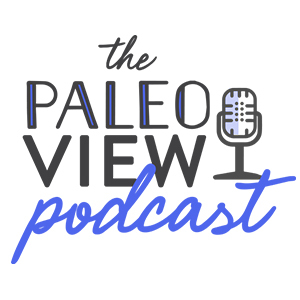 How would you explain then that cassava, yuca, taro and plntains are allowed on Autoimmune Paleo Protocole diet? As I understand from this article those need to be eliminated at least temporarily. Also would that even be healthy, considering we are already eliminating all grains and regular potatoes? I would appreciate a responce as this truly confuses me. I am totally confused , every time I’m told something or read something to do that will help you there’s always somebody else saying no don’t do that what is a person supposed to do ! I’m tired of trying to figure this all out, the stress is what’s killing me! 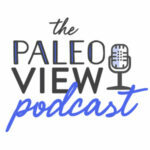 I just discovered Paleo mom, and can’t wait to read more! What I’ve read so far is incredibly helpful. Just thought you’d like to correct a typo on your book advertisement. 😉 It says “Paleo Principles IF finally here” on every page that I’ve seen it on. In the first paragraph of this article, the word “vicious” is used, but the article doesn’t demonstrate a vicious action by Chia. Did you mean to use “viscous”? Thanks doc very valuable info. Are oats also classified in the mucilaginous fiber category? I suffer from dysbiosis and oats along with mucilaginous seeds make me constipated.